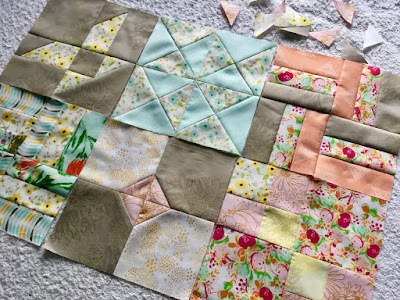 In August, I posted about The Farmer's Wife English paper piecing [EPP] stitch-along that was just beginning. On my birthday last week, I received this lovely Art Gallery Fabrics [AGF] bundle of fat quarters. Ah-ha! Project and supplies have met. 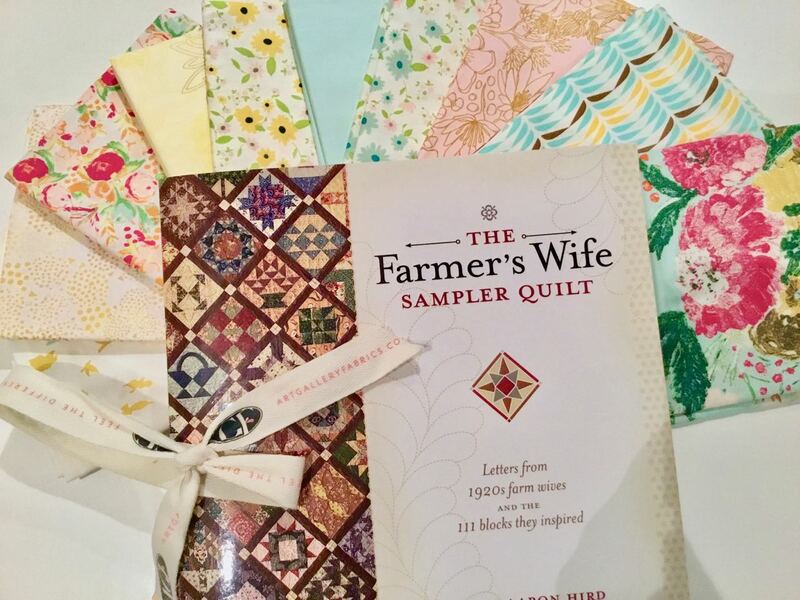 The Farmer's Wife pattern book and my new curated Art Gallery fat quarter bundle. Since the Farmer's Wife stitch-along began in August, I've decided to speed-piece the blocks by machine. 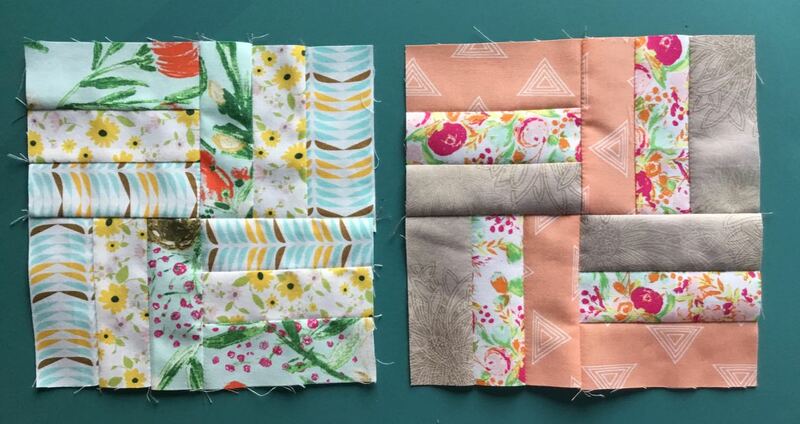 The blocks are 6 inches (finished)—just like the City Sampler stitch-along that I'm working on. The Farmer's Wife book, however, does not provide cutting measurements. Instead, it includes a CD with a digital file for printing paper templates. Because I'm going to rotary cut the fabric for machine piecing, I'll have to calculate the cutting measurements myself. The Autumn Tints block from The Farmer's Wife sampler quilt. The blocks finish at 6 inches, so blocks divisible by 1, 2, 3 and 6 will be easy to calculate. 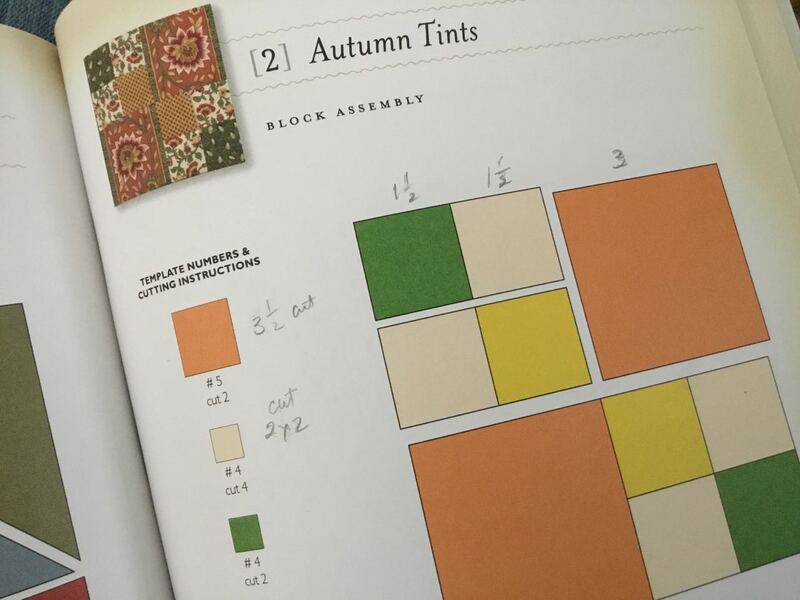 Block 2, Autumn Tints (shown above), is an example. Half-square triangles: add 7/8" to the finished size of the triangle leg. (which happens to be the sides of the block). The original bundle of Fat Quarters is shown here. It has a nice variety of almost-solids, small, medium and large prints that all coordinate... but there is not much contrast in value (lights/mediums/darks) between the fabrics. 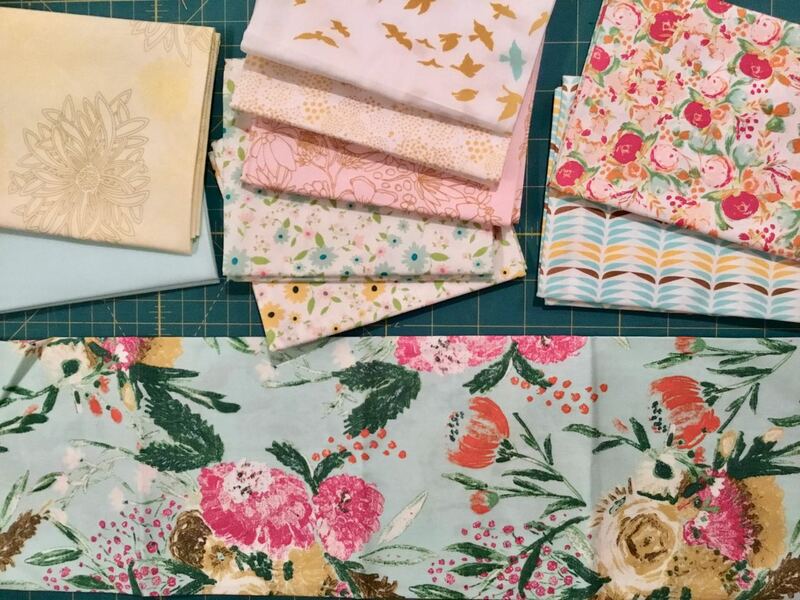 Curated Fat Quarter bundle of Art Gallery fabrics. 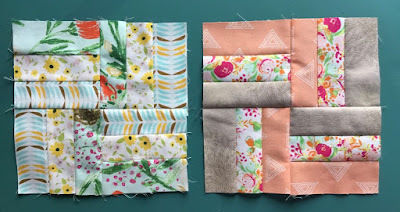 I initially thought I would challenge myself to use only the fabrics in the bundle, but realized I didn't care for the lack of contrast in the piecing (a personal preference). Here is Block 4: Basket Weave with my first attempt (left) and the second attempt with the introduction of two AGF blenders with darker values. Two versions of Block 4: Basket Weave. I have completed Block 2: Autumn Tints; Block 3: Basket (without the handle); Block 4: Basket Weave (two versions); Block 6: Big Dipper; and Block 10: Bowtie. 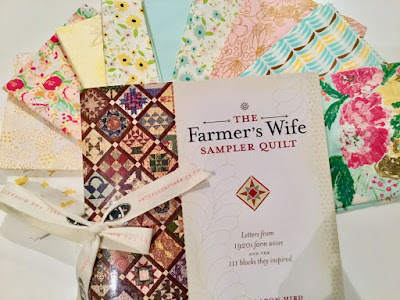 Six Farmer's Wife sampler blocks machine pieced. The modern AGF prints and florals are a refreshing change of pace to the fabrics used in the book. And the taupe and peach blenders are a good addition to the fabric mix.